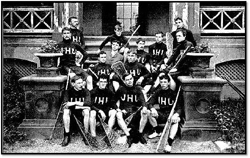 SNYL is dedicated to teaching, honoring and preserving lacrosse traditions and culture. The league vision is to involve people in lacrosse so they truly understand the traditions and culture of the sport. Lacrosse is much more than a sport—it's about integrity, honor, respect and character. A player who truly embodies Lacrosse is one who respects all those participating in the sport (teammates, opponents, referees, coaches and fans) and strives to never let his teammates down. We want to cultivate a tradition that honors a player’s heart and hustle and reminds them to never give up. Our players will cheer both in the game and on the bench and work as hard in practice as they do in the game. We will encourage our players to do the right thing whether in public or in private and to respect and honor the sport of lacrosse on and off the field in the best way possible. We are a young league and our traditions are still more of a work in progress or vision than a reality. To make the transition from vision to tradition we will strive to enable a deeper, more personal relationship between the lacrosse player, coach, parent or fan and the roots of the sport and what it offers in life: commitment, competition, connection and community. We believe that our focus in preserving traditions and the culture of lacrosse will in turn create future advocates who will endeavor to become better players, leaders and tomorrow's teachers.